Thank's for the lovely comment on my blog! I really love this ring. It is so different and edgy. I've just read your blog for the first time and I love it already, you have great style! girl thats a hell of a ring!!! sure we can follow, i'm doing it on bloglovin now. ooh!lovely ring! thanks for your comment in my blog! i follow you and i hope you follow me too! Primark can be so awesome!!! Love the ring, I actually have a panther similar to that but in a necklace. Do you know where I could find that one in California ? Your blog is awesome! Thanks for stopping by mine, definitely followed you on Bloglovin! primark?? really? i haven't been in sooo long, since the shops started getting busier i've been steering clear! Primark has the best things and very chip. Just found your blog, this ring is so chic and your nails are really pretty too. I can't believe this ring was such a good deal, it actually reminds me a big of a necklace in the Versace H&M line. You have a great blog, it's set up really nice with lots of chic designs and fashion. love it!! reminds me of this one Cartier piece my mom has. following you via bloglovin, hope you'll do the same! WOW! Even at my currency value that's still an amazing deal. Love it. That ring is awesome. PS love your nails too! That ring is absolutely brilliant. ahhh! i love that ring!!! it's sooooo cute!! Thanks for the comment, I'm following you on bloglovin! I love this ring! nice buy! its so cute! Great ring, I bought one very similar also in Primark. Thank you for your invitation, now I'm following you and waiting you follow me back. Gorgeous and great find doll. Your lion ring is fabulous! Following you. Follow me back. :: Gasp :: This is too cool! Ohh! I'm so jealous that you have Primark in UK. This ring looks fabulous. Love your blog. That ring is amazing, and so is the price! Hi! Thanks for dropping by my blog! :) Let's keep each other posted through bloglovin' will follow you now! Beautiful ring, I am following you by bloglovin, but can you check because I just registered and I am not sure. Amazing ring for an amazing price! The ring looks really amazing, definitely an eye-catcher! Woow, thanks for sharing! 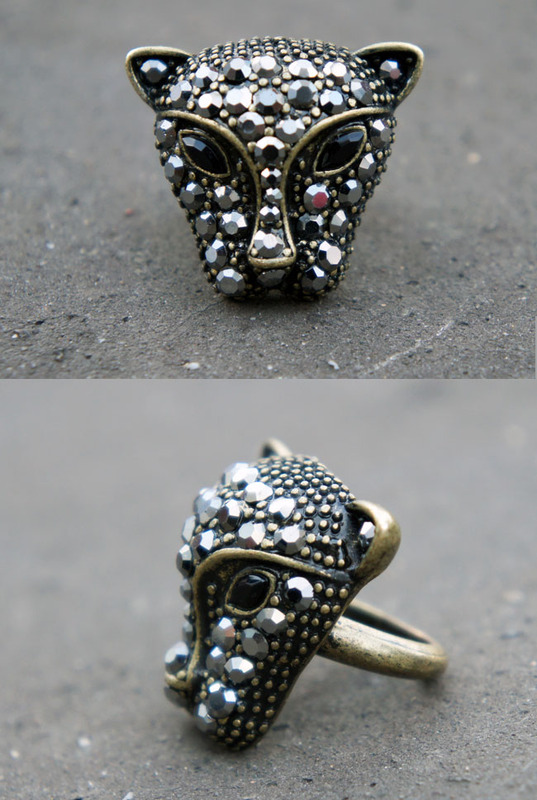 i´ve been looking for a Lion ring for ages. Now i can see myself running to Primark for getting this one. It's amazing and this price... wow! Just wanted to let you know I'm now following you on bloglovin too. Wow love this ring,love statement pieces like this. really cool! i love it!!!!! I follow you for Bloglovin Now!!! I’m very happy if you follow me too. Great ring and lovely blog !!! I love the ring and your nail art as well :x Love the quality of the photos too ! cool blog darling!Of course ,I follow you on bloglovin right now.And ı'm newest so waiting yours support on this way! I just LOVED the ring! It's really awsome! I will follow you on any platform you want. Just let me know. fantastic! i love this ring!! thank u for comments! yeah i'm following u on bloglovin'!! i hope u'll follow me back!! Designer louis vuitton online at mybagqueen are easily recognizable. The style and shape of designer omega watches for women is very attractive to anyone. One of the main feature of the designer handbag is light weight. This property makes the woman to carry popular christmas gifts comfortably. It is one of the things that any woman has to keep in her mind while she shops for an ideal and classic designer discount rolex watches.